Sajia Yaqobi's son needs life-saving treatment in Boston, but she can't accompany him unless her citizenship is rushed. 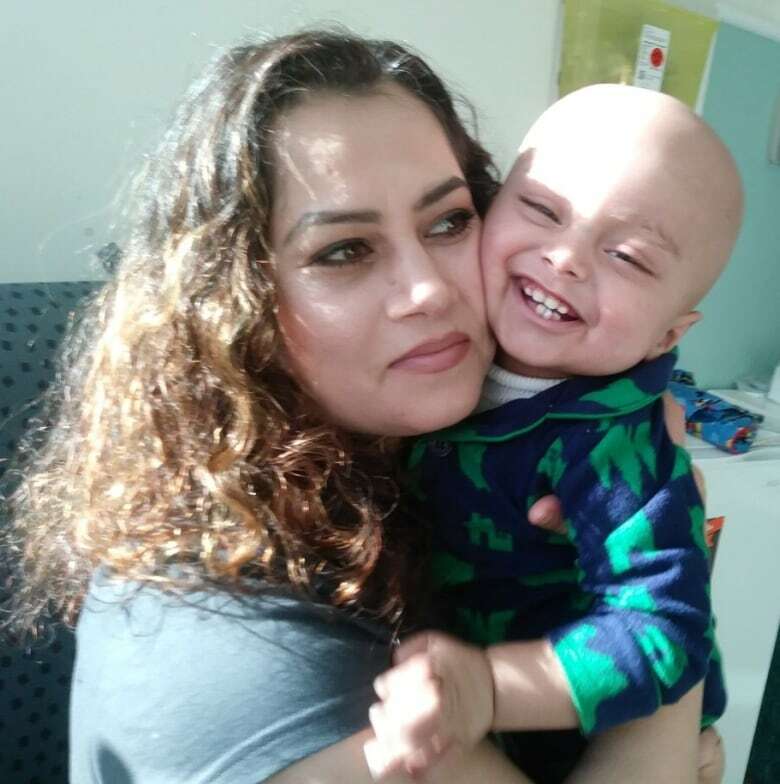 A mother from Afghanistan now living in St. John's*is facing an immigration nightmare, as her toddler*needs cancer treatment in the United States — and she is prevented from accompanying*him. Sajia Yaqobi believes her*best option is to obtain*Canadian citizenship on compassionate grounds and get a rushed passport so that she can travel in May to Boston with her 15-month-old son, Elias, for a rare form of*radiation treatment. "Even a second [without her son]*is too much for her," said Assadullah Faqiri, her husband. "And Elias without his mother, he cannot make it." Elias Faqiri was born the picture of health — a staggering 11 pounds with a head so full of hair the hospital staff called him "Baby Elvis." His parents thanked God for a*second son born in the same year as their first. Their dreams were coming true as*they started their family in St. John's, a world away from the life they left in Afghanistan. It wasn't long until turmoil returned to their lives, and the tufts of that jet black hair began falling from his head. "At the age of 10 months, he was diagnosed with cancer. Brain cancer." Through tears, the boy's father does the talking. Faqiri*is a taxi driver, keeping long hours to support his family. Yaqobi*sits beside him and wipes rolling tears from her cheeks. She came to Canada in 2015, and has yet to learn English. It's been five months since the diagnosis of Ewing's sarcoma, and the outlook is positive. Elias is responding to the chemotherapy, but he needs a special kind treatment*not offered in Newfoundland and Labrador. The best option for his survival is to send him to Boston*— first for some tests on April 9, and then for three weeks of proton radiation therapy*in May. Faqiri will make the five-day trip to Boston next month alongside his brother and sister, but worries what will happen if his wife can't be with her son for the longer second trip. Yaqobi is a permanent resident of Canada, but not yet a citizen. Therefore, she qualifies for health coverage and pays taxes, but cannot obtain a passport to travel internationally. Permanent residents can visit the United States if they have a valid passport from their home country and apply for a visitor*visa. This process can take months, and Yaqobi's Afghan passport has expired. "I don't know how long it's going to be [to get a] visa," Faqiri*said. "But more important is my son because I don't want to lose that baby." Nick Whalen, the MP who represents the St. John's East*riding where the family lives, visited Elias in the hospital on Monday afternoon. He spoke with the family about another option — a federal program to provide travel documents to immigrants, which typically applies to refugees. Yaqobi is not a refugee, but Whalen said his office is looking at how the program might be able to fit her case. If it does, she could get a document that would allow her a one-time entry to the United States. Prior to Whalen's*visit, the family*hoped she could obtain Canadian citizenship and get an expedited passport to accompany her son in Boston. Yaqobi has been in Canada long enough to qualify for citizenship and her husband and all his family are citizens. However, one of the requirements*is an English proficiency test. Yaqobi has attended some English classes, but gave them up after her doctor ordered her to rest during her second pregnancy. 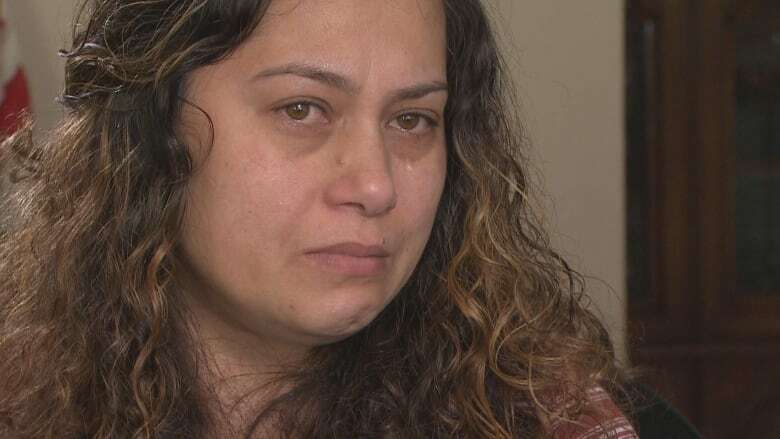 They*tried calling the same immigration and citizenship hotline they've dealt with before, but say nothing is moving quickly enough to allow her to travel by May. Medical exemptions can be granted under Canadian law to bypass certain parts of the citizenship process. Yaqobi struggles to eat most days. She doesn't sleep through the night, either, waking up with dreams that someone is trying to take her son. "I'll work seven days a week, I don't care about that. *Non-stop, as long as my son will survive." Their other son, Abbas,*spends his afternoons in daycare while the parents*tend to Elias at the hospital. The toddler has split the last five months between home and the Janeway*children's hospital, going back for chemotherapy and occasionally to deal with high fevers. Faqiri said Elias cries for his mother, and is often only soothed by her presence. "As soon as he can see his mother, he jumps right away," he said. Both parents are thankful for all the help they've received from the Janeway — the doctors, nurses and staff have been miracle workers, they said. Whether it takes government intervention or some sort of divine intervention, Faqiri just wants his entire family to be together as they move forward with the next steps. He dreams of a day they don't have the anxiety of cancer looming over them, when his wife's smile and*the jet black hair of "Baby Elvis" will return. "My baby is my whole world. My wife is my whole world."